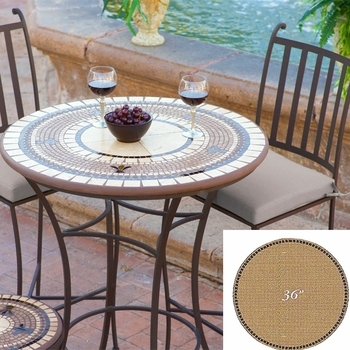 Looking for a refresh or replacement for a tired or worn table? 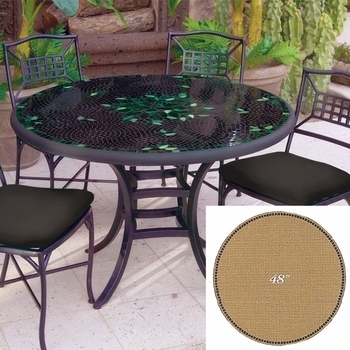 Perhaps the base is fine but the top has taken a beating. 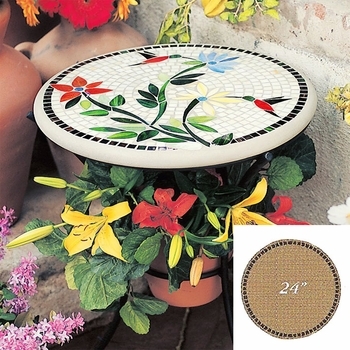 The answer may be one of our many mosaic table tops! 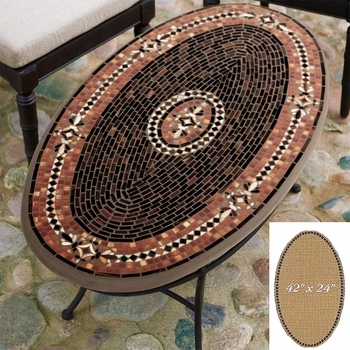 Ranging in size from twelve inches in circumference to an 84 by 48 inch oval, these beautiful mosaic table tops turn any base in to a colorful catch all for correspondence, conversation or contemplation. 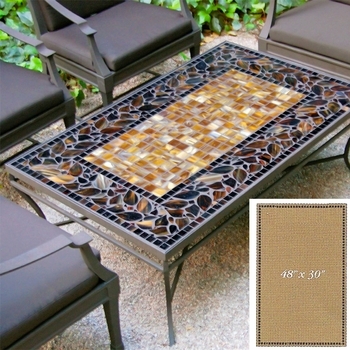 Generally crafted of stained glass and/or travertine in a concrete blend, each piece is created by hand so no two will ever be exactly alike. 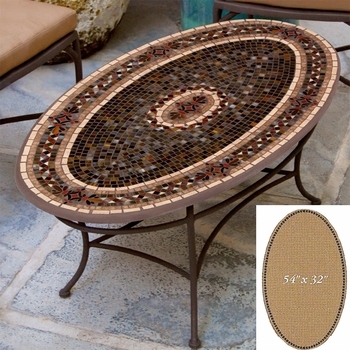 Mosaic table tops that are thirty six inches and greater may be ordered with umbrella holes built into the surface. 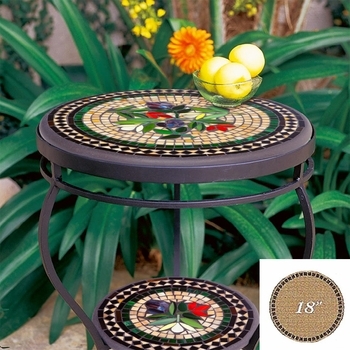 Sun stroke cover or not, every mosaic table top begins with your selection from a host of design options - floral, geometric, lush black olive vines, dainty hummingbirds, patterns from Belize. 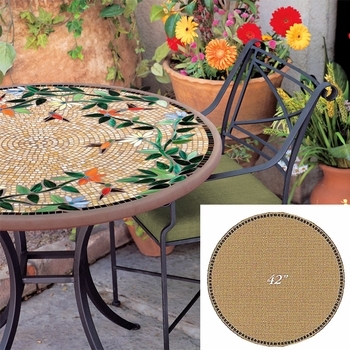 So many choices to make a mosaic table top your own! 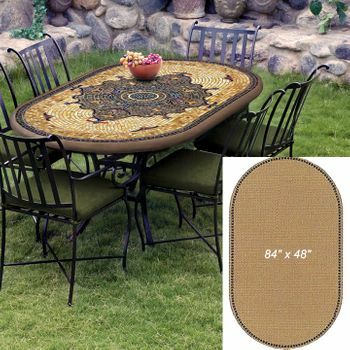 Mosaic Table Top - 48" x 16"
Mosaic Table Top - 48" x 30"
Occasionally the need arises for a replacement part or outdoor over haul. 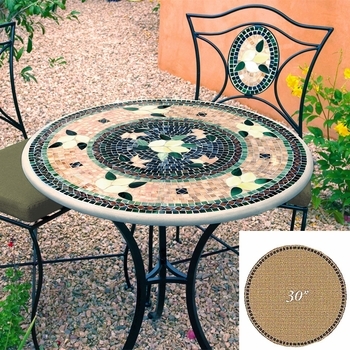 A new home with a different color tone, an updated or expanded patio area, a disastrous party guest - many of our mosaic pieces are available as just a table top. 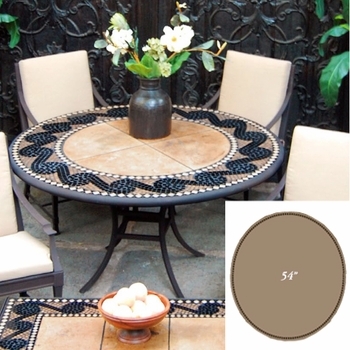 The shapes you need, from half round to oval, in a rainbow riot of colors. 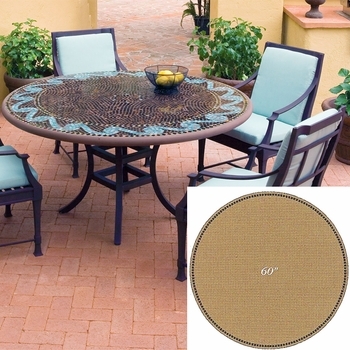 Table tops that are 36 inches in diameter or greater may be ordered with umbrella holes built into the surface. Voila! 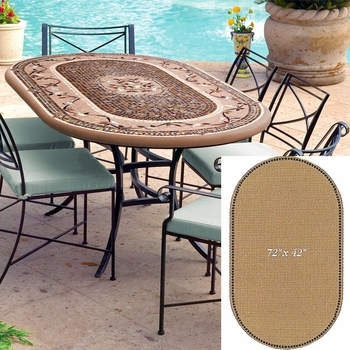 Tops that are 36" and over can have umbrella holes built into them. 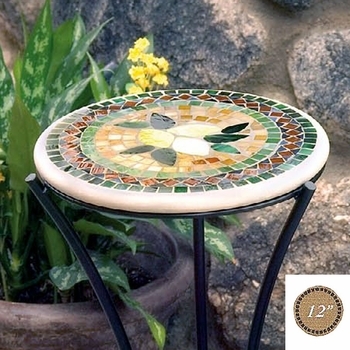 Note: Although it can be left in the elements, it is recommended that mosaic pieces be brought indoors during freezing weather.